You have 3889 characters. Don’t forget to add important and relevant keywords in your description to improve your iTunes app page and optimize your SEO. Award-winning journeys, at your fingertips. 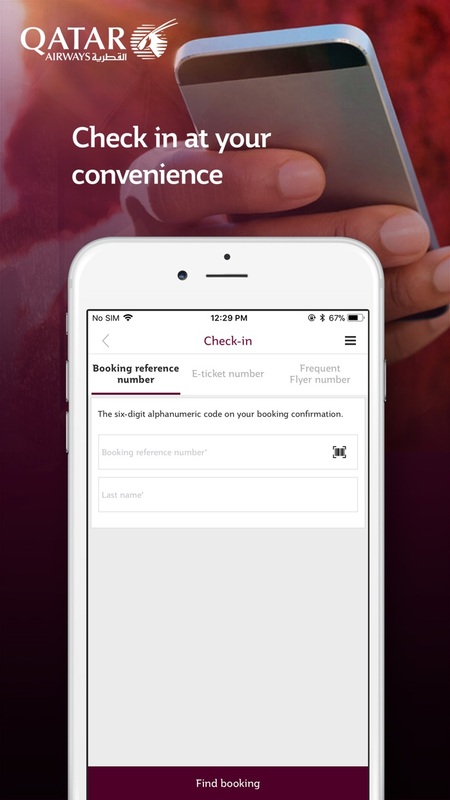 Book flights, check in, manage bookings and take full control of your journey with the Qatar Airways mobile app. With a tap of a finger, find and book flights to more than 160 destinations around the world. Use our timetable function to find the most convenient flight options for your journey. 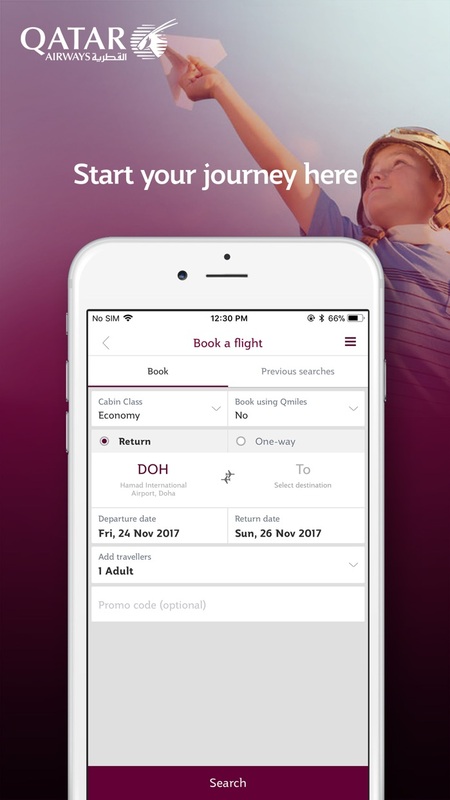 Our app enables you to book one-way, return or multi-city trips, and book Award tickets with Qatar Airways using your Qmiles. Booking flights through the mobile app also gives you the added advantage of a simplified booking process, allowing you to enter your travel details simply by pointing your phone camera at your passport. When booking through the mobile app, you can take advantage of a range of payment options available worldwide and specifically in your country. If you are undecided about your reservation, you can use our app to hold your booking along with the guaranteed fare for up to 72 hours, in exchange of a minimum fee. Enhance your journey with an array of additional services. Through the app, you can purchase excess baggage as well as book lounge access, meet and greet services, hotel stay, and car rental. If you are a resident of certain countries, you will also have the option to purchase travel insurance during booking or by managing your pre-existing booking through our mobile app. 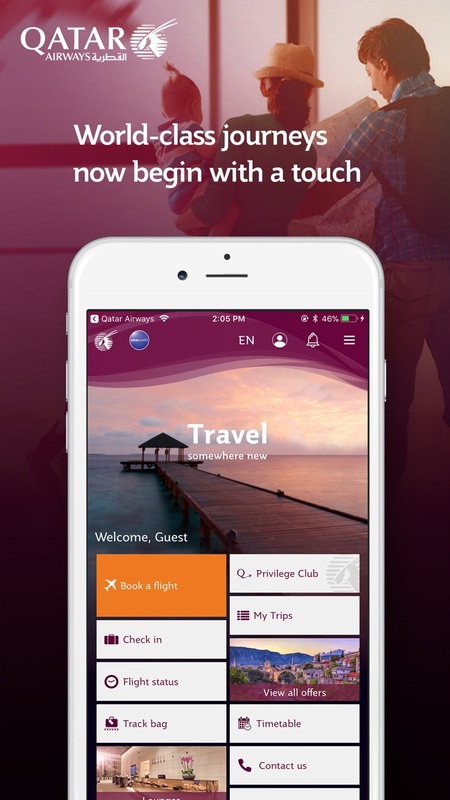 Manage your booking conveniently using the Qatar Airways mobile app by adding it to “My Trips”. Once added, the app will help you keep track of every step throughout your journey, sending you flight notifications about check-in, boarding, baggage collection and upgrade offers. “My Trips” also allows you to conveniently manage your booking, change your seat and meal preferences, modify your flight details, purchase excess baggage and much more. Check in through the mobile app simply by pointing your mobile camera at your passport details page. Choose your seat, view/save your boarding pass and use the fast-bag-drop counters at the airport to check in your bags. Through the mobile app, you can request arrival and departure information on all Qatar Airways flights and receive updated information on the status of your flight directly on your smartphone via a push message. Check our special fares and find great deals to that destination you've always wanted to visit through the mobile app. You will always find the same fare available on the website at the time of search (and sometimes, you may even discounted fares when booking on mobile during certain promotions). In cases of delayed or mishandled baggage, you can ensure your baggage’s safe and timely delivery upon your arrival to your destination, through tracking its journey using the mobile app. -	Access their dashboard and view account details, latest activities, upcoming trips and more. 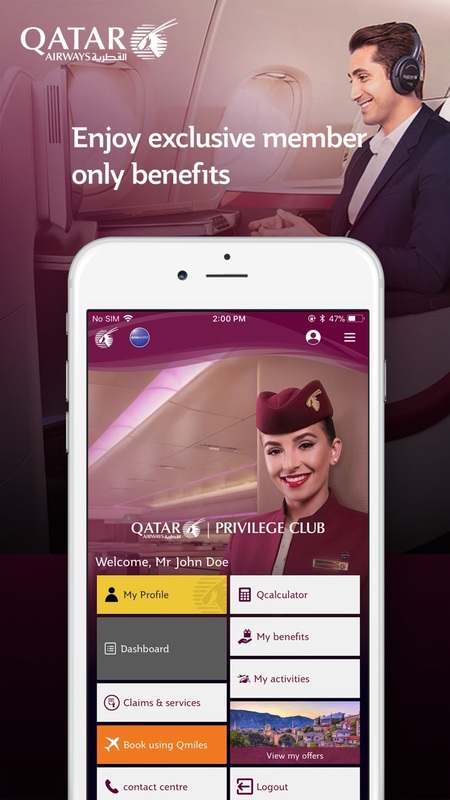 -	Use the Qcalculator to check the Qmiles and Qpoints that can be earned on flights, as well as the Qmiles required for Award redemption with Qatar Airways and partner airlines. -	Stay up to date with the latest offers from Privilege Club and register for them. -	Communicate with the Privilege Club member service center easy processing of requests. -	Claim missing Qmiles on past flights. -	Generate statements for any given period of time. -	Update profile and communication preferences for emails and SMS from Qatar Airways.